Dish is teaming up with nTelos to launch a trial network of fixed TD-LTE services with the goal of adding paying customers to the network in July. nTelos is the seventh largest mobile carrier in the United States, with an incumbent CDMA network on the PCS bands, and a budding LTE network that it launched in select markets late last year. The carrier has a little under half-a-million customers and operates in the eastern US, primarily in the Ohio River valley out of Kentucky and Ohio, through West Virginia, Maryland, Virginia and down to North Carolina. 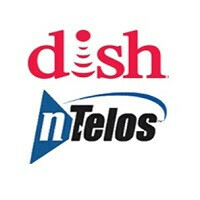 Along with Dish, nTelos also holds licenses in the AWS bands above 2GHz. The two companies have been collaborating on building fixed wireless services with this spectrum which covers about 600,000 residents. The network will initially serve areas with higher population concentration and will either be sold as standalone feature, or combined with nTelos’ other wireless offers. Dish will also bundle the service with its satellite TV plans. Dish is working on a similar plan with Sprint in the areas surrounding and including Corpus Christi, Texas. With regards to its existing LTE network, nTelos is more than half-way to its year-end goal to have 4.2 million POPs (points of presence) served by the end of 2014. One of the challenges for such rural areas is having the necessary backhaul available to handle the load of increased data speeds across the board. nTelos has the commitments in place to ensure the Ethernet backhaul is installed while it expands its network. For those that may be wondering what kinds of speeds are theoretically possible with this service being built, Sprint and Nokia were able to achieve speeds in excess of 2Gpbs with LTE-A in the same frequency range. Granted, that is in a lab environment. Expect speeds to vary greatly, but it is not outside the realm of possibility to see throughput reliably in excess of 10Mbps. Deep Dish is merging with nTacos now? Brilliant! Its just a trial. Likely to see how spectrum compliments and how to better integrate and merge spectrum via aggregation and do it with satellite and land based networks. No big deal. Think of it like a precurser into educating Dish how wireless networks work for telephony. They are going to merge the pizza and the taco? Now that is brave. I guess it's part of their "Long Term Eatolution" strategy. nTelos has zero mobile 4G available in Virginia. Their network is having a hard time keeping up with CDMA 3G phones on their network. Either nTelos has everyone working on fixed 4G or this is going to be a terrible flop.